TM-T88V Thermal Receipt Printer (Serial and USB, Power Supply, Dark Gray) The TM-T88V POS thermal printer is the latest addition to Epson's industry-leading TM-T88 POS printer series. The TM-T88V delivers more speed and more reliability than ever before. It offers 50% faster printing of text and graphics than the TM-T88IV, 35% more reliability, new ease-of-use features and dual interfaces. 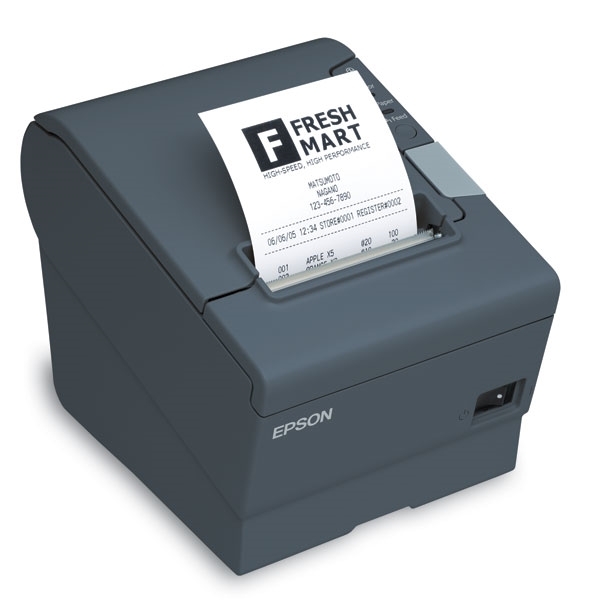 In addition, multiple configurations of the TM-T88V meet ENERGY STAR requirements making it the only ENERGY STAR qualified POS thermal receipt printer available today.